This month, we explore SmallTalk Aphasia. There are over 2 million people, currently living in the United States, who have aphasia. It is a communication disorder that affects a person's ability to process and use language and can range from mild to severe, depending on the amount of damaged brain tissue. No matter the severity, aphasia makes communication difficult. 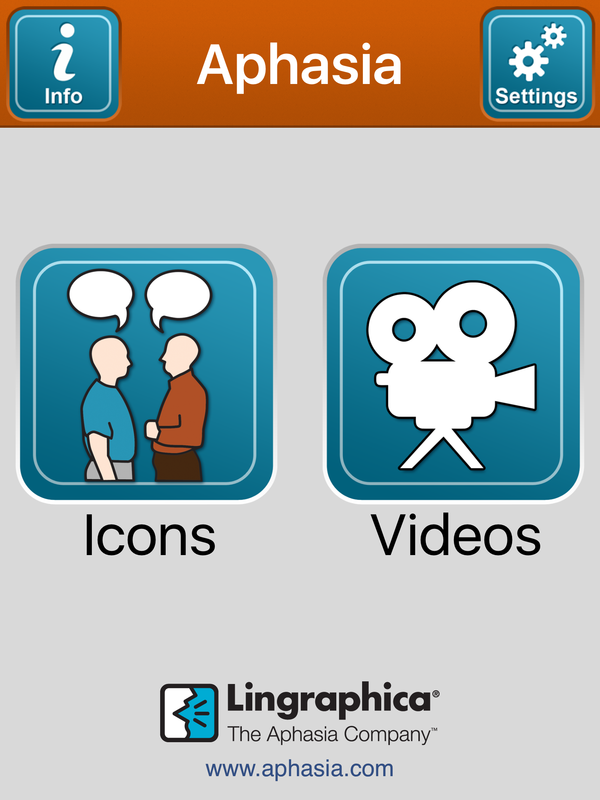 In an effort to help, Lingraphica created the SmallTalk Aphasia app. 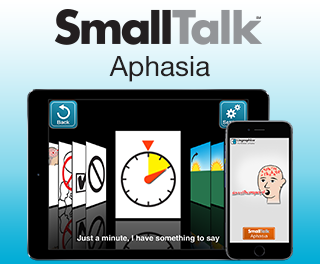 Designed specifically for people with aphasia, SmallTalk Aphasia provides a vocabulary of pictures and videos that talk in a natural human voice. Now holding a conversation with aphasia has never been easier! SmallTalk Aphasia also contains mouth-position videos for each icon, which is helpful for practicing phrases and strengthening communication skills. 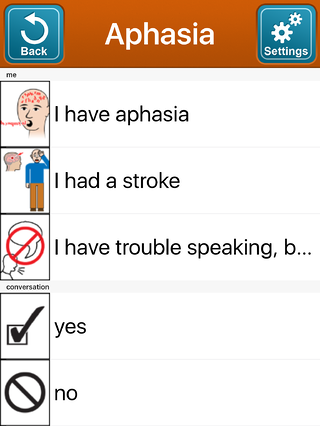 The SmallTalk Aphasia app is an essential tool for people with aphasia and other speech and cognitive disorders to have. To learn more about our other SmallTalk Apps, download our App Guide below.